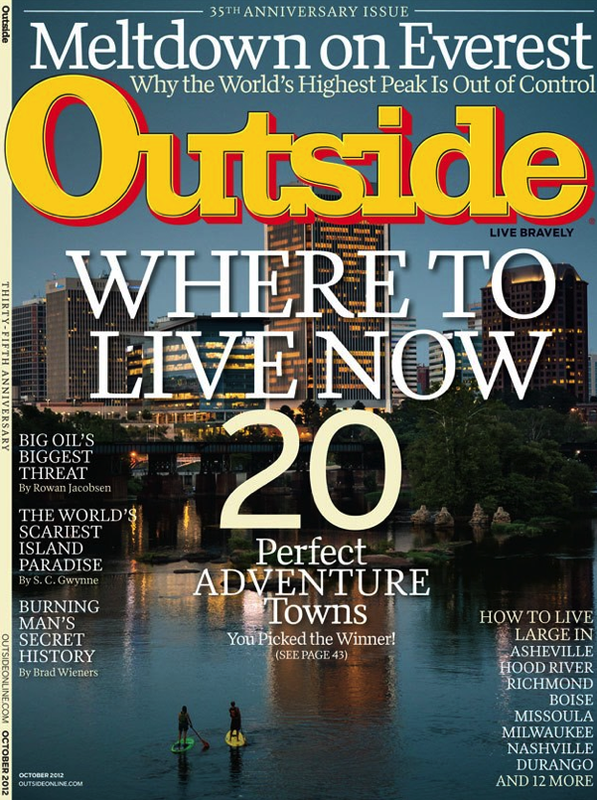 This means that since Richmond was named the “Best Town Ever,” it was placed on the cover of Outside’s October 35th anniversary issue. Richmond received 9,315 votes and won over the other nine competitors, including: Hood River, Oregon; Nevada City, California; Milwaukee, Wisconsin; Asheville, North Carolina; Nashville, Tennessee; Boise, Idaho; Missoula, Montana; Durango, Colorado; and Ithaca, New York. 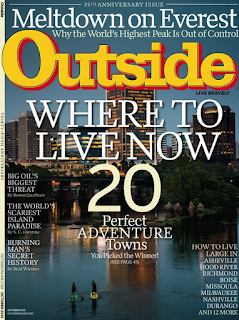 Outside, with a print circulation of about 700,000 and a total audience of more than 2 million, has featured outdoors towns and cities annually for over 15 years.